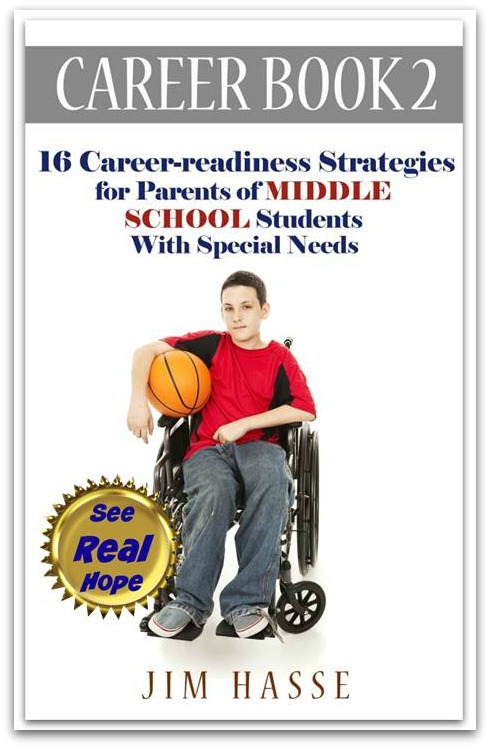 Career Book 2 is a career readiness middle school guide which summarizes the track you can take in coaching your youngster with cerebral palsy (CP). It's available as an eBook and as a paperback. Here's why you need to read this book of career readiness middle school strategies. It shows how leveraging disability worked for me in the mainstream job market -- even though I walked and talked with difficulty due to CP. Now is the time to help your middle school student with CP begin to think about how to tap disability's edge in tomorrow's job market. The steps you take today will help your youngster gain insight for effectively managing his or her career as an adult. Here are Career Book 2's time-tested strategies which now, decades later, may help you coach your youngster as a career readiness middle school student. Get all five Career Books. The key to success, more often than not, is simply deliberate, focused practice – not luck or innate talent. Download Career Book 2 now as an eBook or as a paperback.